The end of exams feels like coming up for air after your head has been forced under water. Living in a tiny world consisting of the library, caffeine, laptop screens, and disrupted sleep is a suffocating way to spend weeks of your life. It is time to move on from this punishing education. 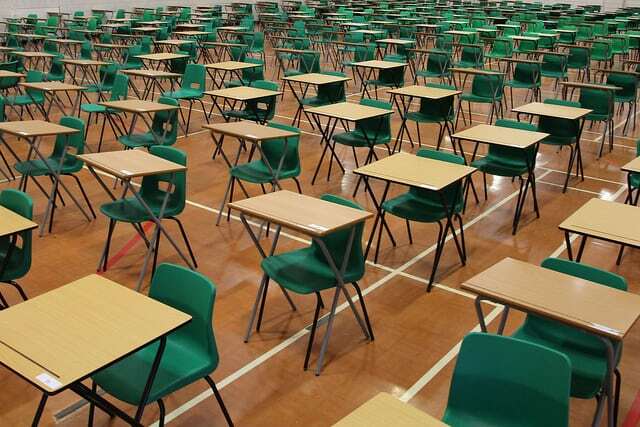 Former Cabinet Secretary Gus O’Donnell has warned of an impending mental health crisis because of the examination culture in British education. Walking through the packed animal-pen that Blue 3 has been the past few weeks, it is hard to disagree with him. The survivalist techniques that students of all ages adopt when it comes to their exam periods are not symbols of their resilience, or academic achievement which their teachers may suggest. If you want to genuinely test for a joy in knowledge or their ability to grapple with concepts, a high-pressure regurgitation of revision notes is hardly representative. All this routine confirms is the fear of failure at school and university. The toothpaste tube of education and employment drives children in Britain, from the age of seven when they take their SATs, to fear bad exam marks at the risk of their mental and physical health. We are governed by the logic that damaging our eyesight, postures, relationships, eating and sleeping habits in the short term, is much better than not having the qualifications to become an equally overworked lawyer by the age of 30. We are always taught to be productive before we even think about being happy. Staring at a computer screen for hours should not be a pre-requiste for higher education. It is becoming increasingly evident that the light from screens is dangerous; potentially increasing the risk of macular degeneration – a condition which affects eyesight. Nobody is sure what the long term effects of this will be because we are the first generation of have to spend this much time exposed to it. Not to mention the damage to our postures that is caused by sitting hunched over pages of notes for days on end. Or the fact that ‘frayed nerves’ from exam stress can very quickly become something much more serious. We are being experimented on, taught to treat stress and pressure as a fact of adult life. If we cannot handle that, we cannot handle the world of work. As students we have come to university for knowledge and a cultural experience, but in doing so we have sold our souls. Eventually we will also have to acquiesce and join the world of work. The paths we carve out for ourselves at university are really nothing more than the pursuit of two numbers separated by colons. A mark which is just shorthand for the numbers preceded by a pound sign; because the number of zeros is the only thing which really drives this kind of learning. Of course I’m not suggesting that all students are cynically motivated by money and ambition. We are all driven by pride in our achievements and genuine interest in our subjects. However, the structure of education is the product of the view that it is only a box to tick on a CV. Otherwise, God forbid, you might end up in manual labour or the service industry, or not pushed to the brink every single week until retirement.